Famous for quality halal meats, fresh ingredients, and friendly service since 1983. Salem’s Market and Grill is Pittsburgh’s destination for Halal foods and Middle Eastern fare. 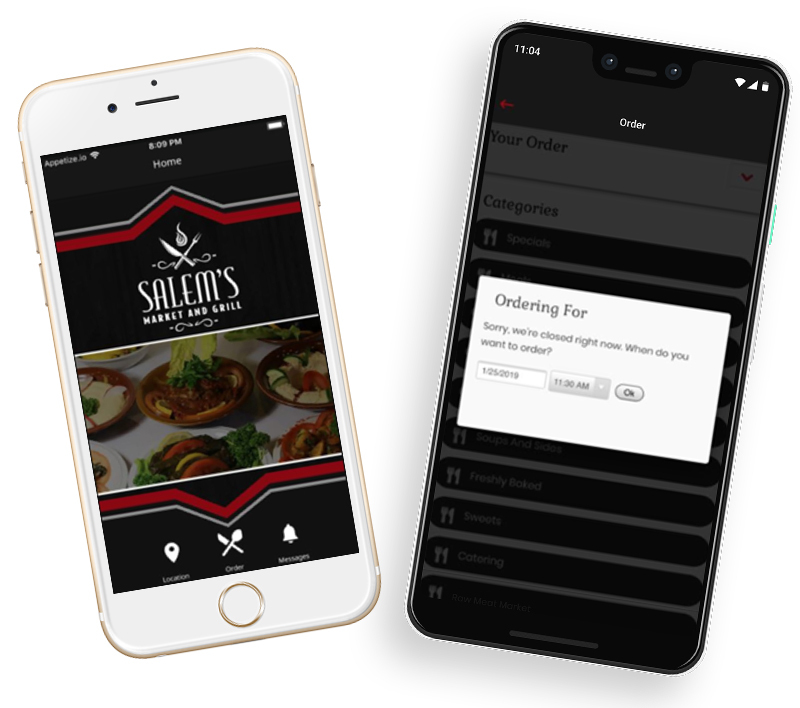 At Salem’s, our mission is to consistently provide quality foods and services as a supplier, venue, and restaurant. . .
checkout our Featured dishes, Catering Menu, Market Menu. If you’d like to make an order for Delivery, find us on DoorDash. The other thing we usually get is the shawarma, it is kinda like gyro, also taste great and huge portion. I love this place! It's a restaurant, buffet (during Ramadan), and middle eastern grocery store. The restaurant is cafeteria style... read more lots of tables close together with a lunch counter holding hot dishes like curry chicken and lamb with veggie and vegan options. They also have grilled meats like lamb and chicken cooked to order. Gyros, burgers, kebab this place has everything. Middle eastern desert like baklava are also available. The portions are large and the price is fair. The Ramadan buffet is a special treat. Nightly during Ramadan from around 8 to around 10 they have a eat in or take out buffet. It's usually around 15 bucks. The grocery is filled with spices, produce and teas. Great deals can be found. The wealth of uniqe and different ingredients is astounding. They have a halal butcher and will mix and preseason meat for you. I strongly suggest the spiced meat mix called kufta. They have different drinks and candy and fresh pita. This place is amazing. I can't believe that I somehow went to the market and missed the entire restaurant and... read more HUGE dining area just next door. The market has everything you need--- produce, frozen foods, canned and dry goods, and a great selection of fresh meats. I got the marinated lamb and chicken skewers that we grilled up and they were absolutely delicious.